Mohamed first joined BuroHappold Engineering in the summer of 2015 as a Happold Scholar; in the summer after his penultimate year studying for an MEng in Civil Engineering at Imperial College London. 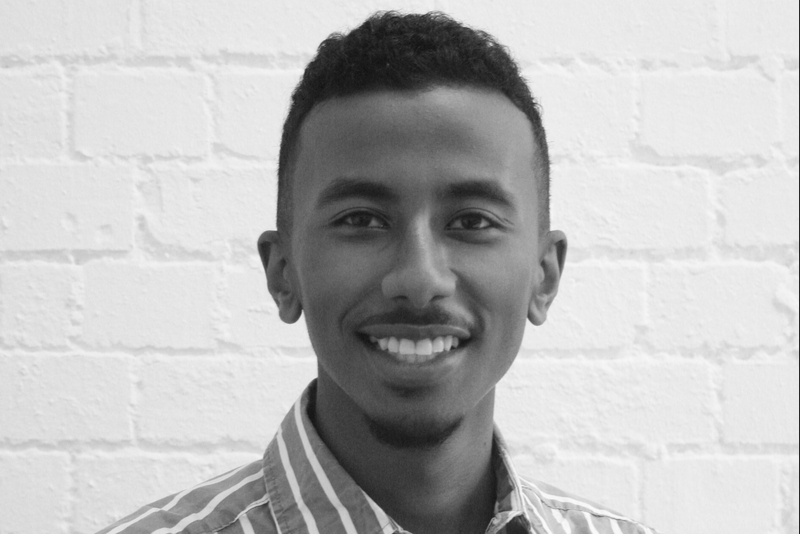 Following a summer placement and a further six months working within BuroHappold’s Transport team after graduating in 2016, Mohamed moved to the Infrastructure team, where he currently resides. His trips to Sudan with his family played a key role in his decision to choose engineering. Seeing the stark difference in infrastructure between Sudan, where his parents were brought up, and the UK, where he was born and raised; led him to see first-hand, how important infrastructure is to a country’s development and ignited his ambitions to make a difference. This, coupled with his desire to apply design thinking to the huge challenges facing the international development and humanitarianism sphere led him to become more involved with the Foundation. Helping to facilitate the Happold foundation’s first Humanitarianism Design sprint held at the ICE in October 2017. After the success of the first sprint, Mohamed, Mairi, Oyin and Lucy organised a second Design Sprint in collaboration with the Happold Foundation; which focussed on engaging the YEF and wider BuroHappold community with professionals working in the humanitarianism and international development space. Mohamed is most excited about being able to explore the big issues facing the world, as an ambassador of the Happold Foundation, and shares the vision for focussing on education, thought leadership, humanitarianism and knowledge sharing. In his role he would like to help spread the impact of the Happold Foundation’s work through engaging and strengthening the Happold Alumni network.